When you book your next vacation at Litchfield Beach & Golf Resort, you'll be thrilled with the variety of on-site amenities available to you. 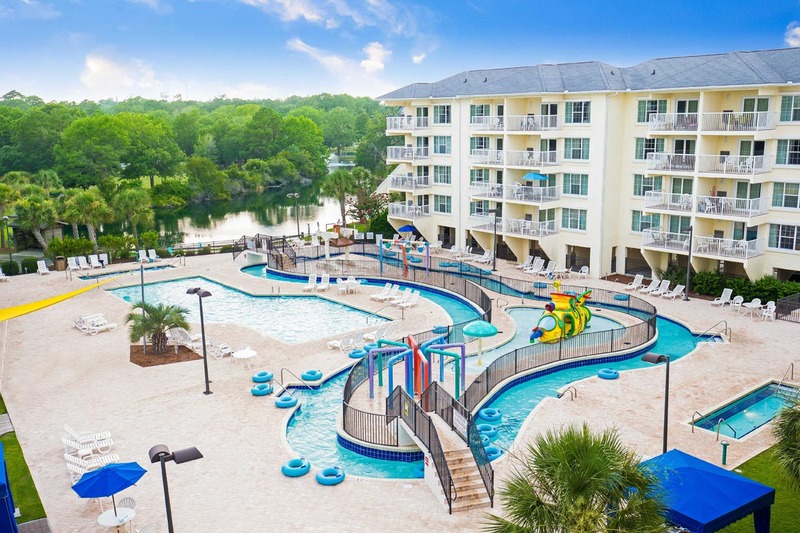 Spend the day splashing and swimming in the indoor and outdoor pools, lazy river, and play plaza, and take advantage of easy beach access for unlimited hours lounging on the beautiful Atlantic coast. For golf enthusiasts, you'll find 4 centrally-located courses, perfect for improving your game. Additionally, Litchfield Beach & Golf Resort features an on-site restaurant serving breakfast and dinner, a Tiki Bar for Happy Hour and small plates, Health and Fitness Center, Bike Rentals, Tennis Courts, and more! Explore our resort amenities below for more information. Resort PoolsAll resort guests have access to the Play Pool Plaza and the Indoor PoolPlay Pool Plaza is the main resort pool located at Summerhouse Suites. Open from 10:00 a.m. - 10:00 p.m. The play pool plaza features a mini waterpark with rotating buckets, silly submarine, mushroom and lazy river. Concessions available in season. Cabanas with 2 lounge chairs, fan and television are available to rent for full or half days. Room Charge or Credit Cards only.Indoor Pool is located inside of the Health Club along with a hot tub. Open 6:00 a.m. - 9:00 p.m. Beach Towels: Don't forget to bring your beach towels to the pool facilities. Beach Shuttle (seasonal)The Beach Shuttle carries resort guests to and from the main resort to the beach! Pick up locations are at Summerhouse Pool, Bridgewater and the Beach Clubhouse.